Chris' Painting & Remodeling has been providing the Monroe and Charlotte area with award-winning exterior and interior painting services since 2000. If you’re looking for a dedicated painting contractor – whether your project is a single-family home, commercial building, or multi-tenant housing complex – we can handle it quickly, professionally and on budget. We’re a dependable, full-service, & family owned Monroe painting company. We encourage you to further explore our site – you’ll see that we’re committed to quality materials, individual customer service and great results. A picture is worth a thousand words, and we invite you to explore the photos of our work. We’re sure you’ll agree that they demonstrate a high level of technical proficiency and aesthetic beauty. Please don’t hesitate to contact us for a free painting estimate. We’re happy to talk to you about how we can help your home look great. The bathroom is one of the most used rooms in the entire house, by your family and guests alike. It should be as beautiful, comfortable and relaxing as the rest of your home. Let our team give you a bathroom renovation that you’ll be proud to show off. We will transform your space into whatever you’d like it to be. From whimsical themes to a more classic feel and everything in between, options for creating your bathroom oasis are limitless! We pay attention to the details because we know they make all the difference. 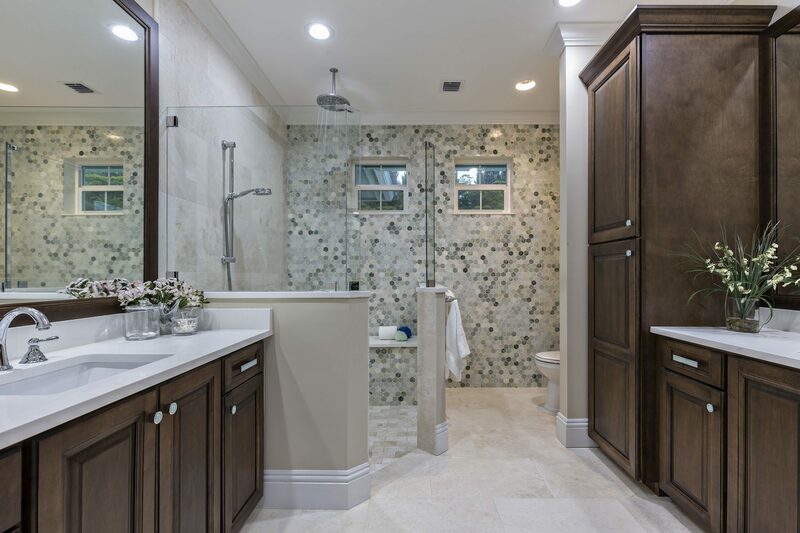 They will install custom tile, find the perfect light fixtures and will make sure that every element is cohesive so that your bathroom is exactly what you want. The kitchen is where the magic happens, so they say. Mealtime, family time, and social time - so much goes on in and around the kitchen. The kitchen is one of the most used rooms in the home - why skimp here? Give your home a kitchen renovation so that you can enjoy that valuable time with family and friends in a beautiful setting. Chris' Painting & Remodeling has been a full service contractor in Monroe and Charlotte since day one. Yes, our professional painting service is second to no one when it comes to quality, service and value, but we are so much more. We have been in Business since 2000 with thousands of satisfied customers! Copyright ©2019 Chris' Painting and Remodeling. All Rights Reserved.